Jay and I had lunch with our next door neighbors last weekend. I mentioned our upcoming lunch a few weeks back. I planned to serve an arborio rice and butternut squash soup. Jay said we had to serve something with eggs, so I made two quiches, one with mushrooms and one with spinach. OMG they were good. And I was reminded of exactly why we're doing this chicken thing. 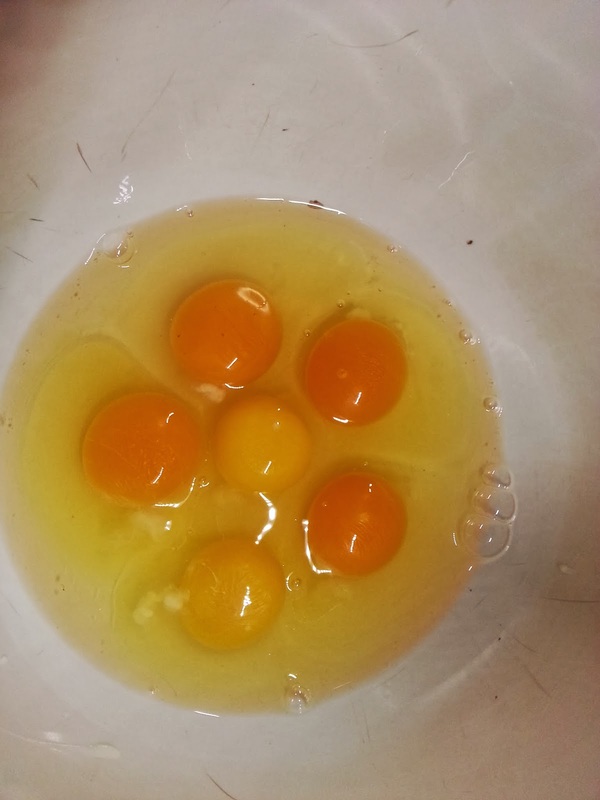 Just look at the difference in these eggs! Our gathering went exactly the way I'd hoped it would. We got to know one another, talked about what we each wanted from having a backyard flock of gallus gallus domesticus and enjoyed a meal made possible in part by the three hens we are currently chicken sitting. I could sense both Matt and Marisa's excitement building throughout lunch, and by the end, we planned a field trip together to Cluck the Chicken Store in Paoli, Wis. to learn more about having a flock and to get some coop ideas. After lunch we went to visit the girls in the back yard. I popped open the door and was delighted to find someone had left us an egg. I gave it to Marisa (even after today's quiche, we've got lots of eggs in the fridge). I am pretty darn excited about this upcoming adventure - that has already begun!